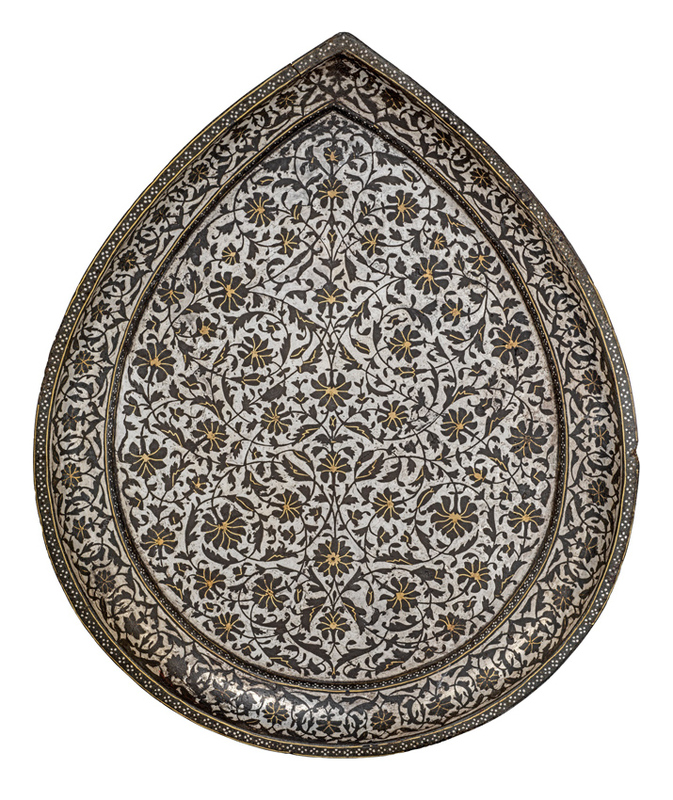 A 17th century south Indian Bidri pear-shaped tray. The DCMS hopes to find a buyer to pay the £75,000 asking price and keep it in the UK. The current owner bought the tray after it was offered for sale by dealer Simon Ray last year. The owner then applied for an export licence which has been deferred until April 17, and may be extended until July if a serious intention to raise funds to purchase it is made. Michael Ellis, minister for arts, heritage and tourism, said the tray embodies the “style, detail and innovation of metalware produced on the subcontinent during this influential period in world history” and as a result it has become essential to “preserve this valuable item for the nation”. The tray is rare due to its size, shape and the metalworking created by a technique called ‘Bidri’. It is believed to be one of only two Bidri pieces to have its entire outer surface covered in silver inlay, decorated through a complex intertwining of scrolling lines bearing leaves and stylised flowers. Most of the tray’s ownership history is unknown. It was acquired by London antiques dealer Anthony ‘Tobi’ Jack in the capital by at least 1974 and was owned by the collector Bashir Mohamed from 1974-2017.